If CD Projekt Red have proved anything since 2015, it’s that they can make an incredible RPG title. 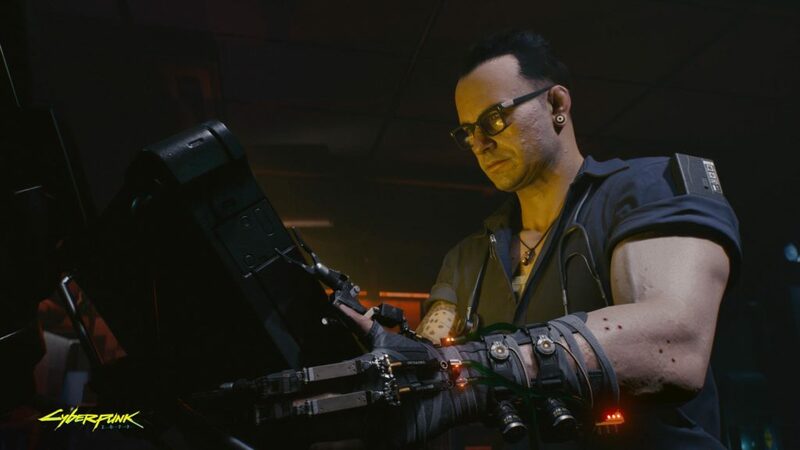 Which is why recent news on Cyberpunk 2077, their latest project after The Witcher 3: Wild Hunt, is nothing short of mind-blowing. At this moment in time, it’s incredibly difficult to not be on board their unstoppable hype train. Especially since their newest gameplay demo looked better than most triple A titles that had been released in the last year. But Cyberpunk 2077 is more than just the game itself, it comes from a tabletop RPG of the same series name which is equally as important to understand. Cyberpunk 2020 paints a bleak picture of a post-modern world. A world where rampant crime is around every corner, mega-corporations control every facet of life, and cyberware (or cybernetics) can be added to any person without much hassle. It’s blend of gritty science-fiction crossed generously with 80’s flair. To help the writing and design team understand just how to truly realise this vision, CD Projekt Red actually brought in Mike Pondsmith, one of the original writers for the tabletop system. It’s with Mike’s insight and CD Projekt Red’s attention to detail that they’ve seemingly brought the tabletop system to life with stunning results. 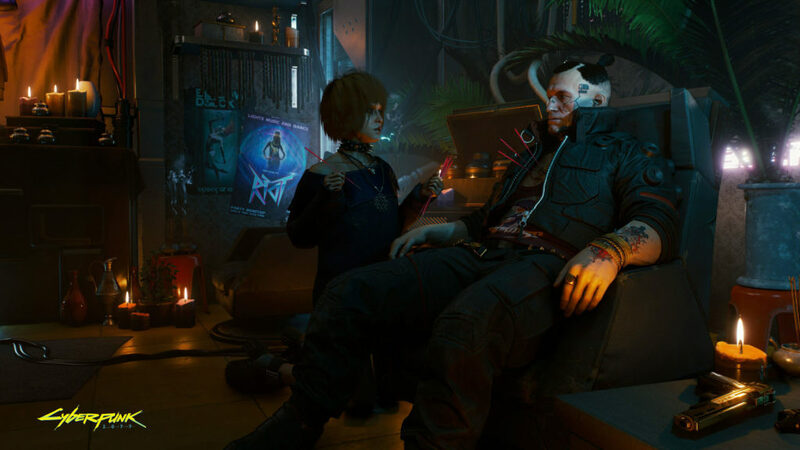 Pondsmith’s input is clearly visible in the demo, as Night City looks more like a dangerous version of Bladerunner than the garish 80’s RPG – the same RPG that encourages players to cyber themselves up, take on mob bosses, tangle with high society and then come out on top. The tabletop game is unforgiving although it rewards those who prepare for everything. The video game adaption shows great promise and more importantly, it proves that more, and more people are taking an interest in typically nerdy puruits, and games nowadays. More so than that however, Cyberpunk 2077 represents what happens if you’ve got a team that cares about the title they’re putting out into the world. Before 2077 reached this stage, it had quite the history behind it. With production likely beginning well before the first trailer came out (the 10th of January 2013 to be exact), CD Projekt Red have kept this so close to their chest, that many people, including myself, believed the rumours floating around in 2016 stating that the project had been put on ice because of funding issues. Thankfully this wasn’t the case. However it’s been far from smooth sailing. In June of 2017, CD Projekt Red reported that hackers had taken some of the game’s production files. In an official statement, their Twitter account stated that “the documents [taken] are old and largely unrepresentative of the current version of the game”. While a relief that nothing vital was stolen, a blip like this must have caused some sort of alarm of stalling. But the team behind this is clearly driven, and wanting to deliver something truly special so as they stated in one of their few public announcements: “silence is the cost of making a great game”. 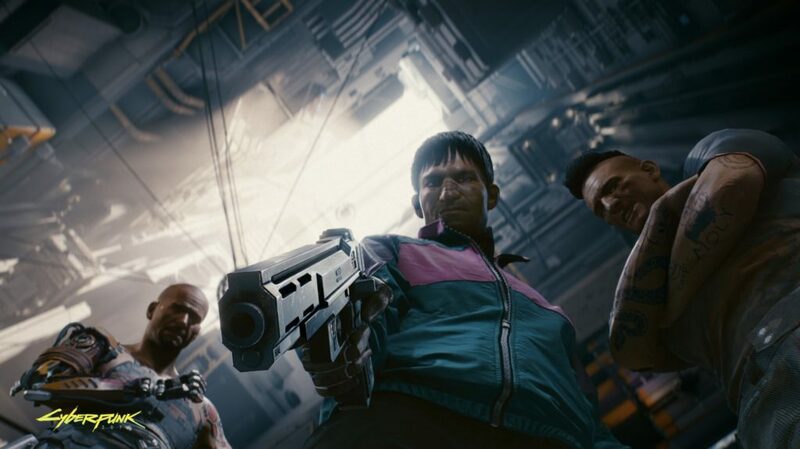 Over 15 million views have been racked up on the Cyberpunk 2077 E3 trailer (2018). In just three short months, the project has gone from something barely spoken of, to the next big thing to happen in gaming. And that’s hardly surprising really. Both the trailer and the demo show an incredible level of polish, using footage from the in-game engine and not a pre-generated cutscene. But here’s a really exciting fact about the E3 trailer: every new scene shows off at least one piece of cyberware. While that might not sound like much, it shows just how neatly CD Projekt Red are taking the 2020 books to heart. One exceptionally remarkable moment (for those who have played the tabletop system) can be found fifty-seven seconds into the video when we see the protagonist (named ‘V’) holding a weapon that clearly says ‘MAGRAIL’ down the side of the sights. That’s highly likely to be a railgun. For those who don’t know, they’re capable of taking out things like trucks and heavy vehicles, from a range of up to fifteen-hundred meters. The excitement builds. For an Alpha, the demo looked incredible. No hyperbole. No glamorous words. It was just incredible. Even as CD Projekt Red deliver a nearly hour-long tour of Night City, and your role within it, they’re quick to remind you all this could change. I’m not sure quite how they could make it better, but they’ll likely find a way. But for the purposes of the demo, it shows off your role as V, a solo (mercenary) who is tasked with various, dangerous, jobs to solve as you attempt to earn a living in Night City. Unlike any other title unveiled at E3, Night City feels like a warped L.A or New York City. It feels alive. Even just looking at it from a mere Alpha, you can see all the work and care that has been taken to craft the demo. The demo itself shows off a variety of aspects, from diplomatic solutions, visits to your Cyberware doctor, to dealing with a Millitech corporate agent. 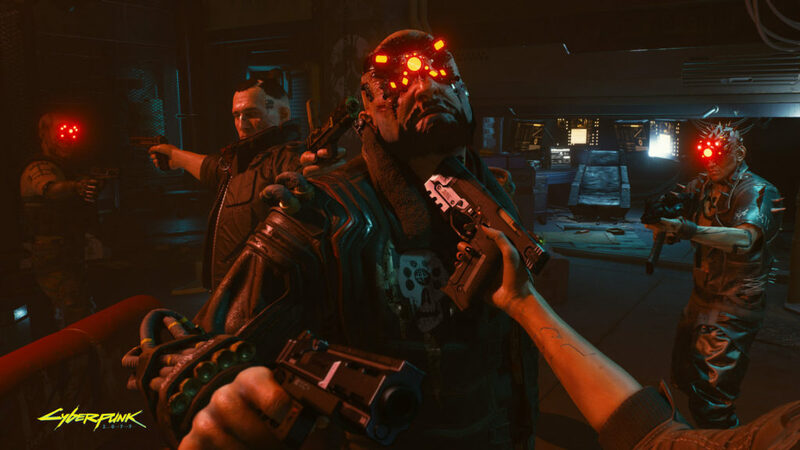 Several key moments within the demo really highlight the ways in which the team behind Cyberpunk 2077 have already nailed the genre, the game, and with luck, they will dominate every awards ceremony the year it is released. There is a lot to appreciate here starting with the initial encounter with the harvester gang within the tower block. It’s a pretty intense opening scene, with no punches pulled. V and her partner, Jackie, storm an apartment in search of a missing woman, and the gameplay is slick. Its looks smooth, even with bullets zipping left, right and centre of V and her cover. Later on, V elects to take the ‘peaceful’ route into a gang’s hideout, in hopes of getting back a piece of stolen Millitech robotics. The demonstration that the game can be resolved with some level of peace, and its not just about gunning down everyone you see, is vital. Closing predictions are easy to make right now, mostly because all you need to do is watch an interview with Mike Pondsmith, and you’ll begin to understand his vision. And obviously, it would help if you play the tabletop game itself which is amazing and fun. We’re sure to hear more about the gangs of Night City. As they’ll likely play a large part in the roles our V will take, and the jobs we complete along the way. The corporations will be also be shown off at some point, perhaps not in the same way as the gangs will be, because of their status and power. But rest assured, the corporate Agents will be revealed too, and they will either be our greatest allies, or worst nightmare’s (corporate Agents get access to military grade cyberware, some of which is able to do frankly incredible things to a person). Aside from all that, I’m fully expecting weapons to be detailed, clubs to be shown, and other, smaller details that really add the last touches of brilliance. Make no mistake, Cyberpunk 2077, when it’s released, is going to be the reason we all lose days.